While #crossishere, crit racing isn't gone. 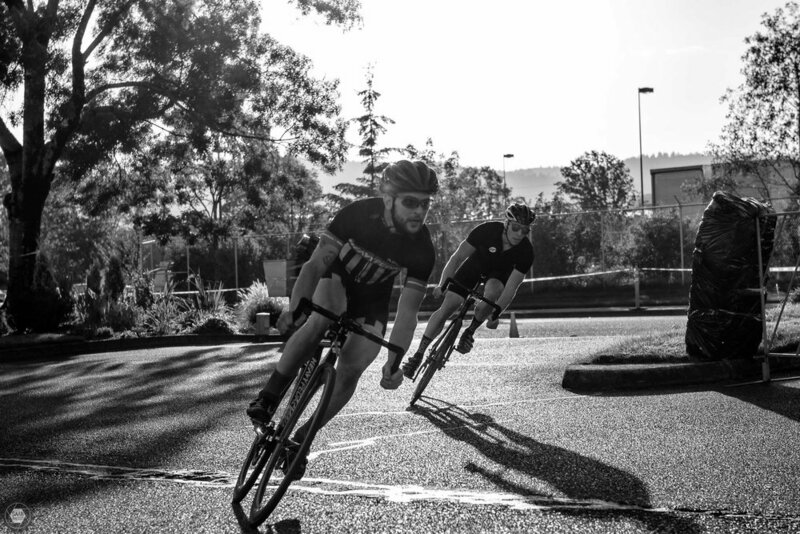 Industrial park crits may have great racing, but watching people make four corners around bland industrial buildings isn't always that exciting. What could make it more exciting? How about racing fixed gear bikes on a short tight course? The Bone Machine Crit nailed it on all counts. The course was fast, tight and offered spectators the ability to see the race several times from the same spot. A couple 180 degree turns and a bumpy transition into a parking lot kept the riders on their toes. I hope more races like this pop up. The setting sun added a dynamic quality to the photos.